TORONTO – John Baird’s surprise resignation as one of Stephen Harper’s most high-profile cabinet ministers set tongues wagging across the country: Was he pushed? Is there some scandal brewing? Did he have a falling-out with the prime minister? Or was it simply, as some career coaches suggest, that after 20 years in the cut and thrust of politics, the 45-year-old Baird decided it was just “time” to go. “I think there are a number of triggers that lead to career change in mid-life and mid-career,” says Mark Franklin, president and practice leader of CareerCycles. Experiencing a health scare — either yourself or in a family member, friend or co-worker — can be a major impetus to question one’s career trajectory, says the Toronto career management counsellor. 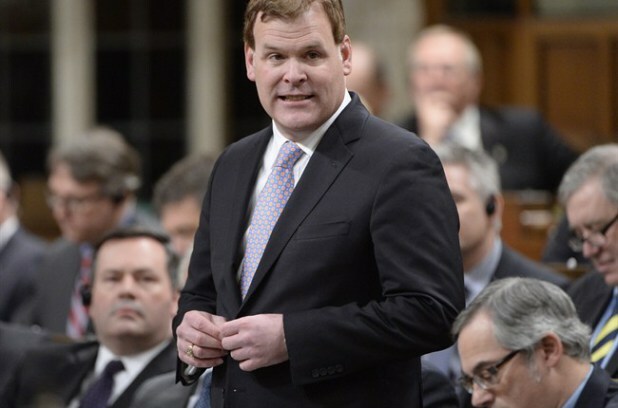 In media interviews following his departure announcement, Baird admitted he had been severely shaken by the sudden death last spring of former finance minister Jim Flaherty, a close cabinet colleague in Parliament and previously in the Ontario Legislature. Flaherty’s death, just a month after retiring from politics, spurred Baird to reflect on his other goals and potential opportunities, he said. But Franklin says that in many cases, the desire to change jobs doesn’t arise from such an unexpected jolt, but is more insidious. “What happens for a lot of people is that the dislikes build up, that people get a number of things that they don’t like about a job and it hits a certain threshold,” he says. “It might be discouragement with progress through a career path, it might be a bad boss — which is a really common situation. It might be boredom with the job itself. Shirin Khamisa, founder of Careers By Design in Toronto, agrees job ennui is a common motivator for people to start casting about for a new direction. That includes some focused introspection, asking yourself what you like about your job and work environment, and what you don’t like, he says. Canadians in general are notoriously poor at career management skills, he contends. When frustrated with their work life, it’s common for many people to sift through online job boards to look at postings, without having thought much about how they want their future to look. That’s not to say that going through the exploratory process — either on one’s own or with a certified career coach —doesn’t have its pitfalls. Franklin says that while having a meeting about a new career opportunity, for instance, can put someone on a high, there can also be lows in the form of anxiety, disturbed sleep and a sense of feeling lost — and losing one’s identity. “You start to identify yourself with your job or position and it’s quite difficult to release that working identity in favour of something else,” he says, adding that many people ruminate about whether they’re foolish to want to alter course. Khamisa says that besides losing a sense of one’s identity, many people fear giving up what they’ve been committed to and built during their career, which may have spanned decades. “But I see so many benefits when people are willing to take on their fear and act and move forward despite that fear,” says Khamisa, who felt frustrated and under-utilized in her work, before staring her career counselling business 10 years ago. “We’re experiencing emotions of joy, of curiosity, we’re feeling more at ease. So we feel better, we make more of a contribution, and oftentimes at mid-life, life starts taking on a new purpose. John Baird's decision to "leave" is coincidental with calls from Kevin Rudd and the reality is that John Baird's day in politics is far from over. His plans go beyond the next election when the Liberals are elected and to when that Liberal Government falls flat on it's face with incompetent leadership and Canada will require some competent person to be the Captain of the ship. Absent those very positive possible reasons, there is also a real chance that some dirt is about to explode and that John Baird's sudden decision is coincidental with the other possible alternative explanation for such an amazing decision to leave one of the most prestigious ministerial positions in the Government. There is a very dirty smell coming from Parliament Hill from the Billions of Dollars given, or thrown away, by the Harper Government to Ontario's Domestic Terrorist Organization, the Criminal Cartel called The Children's Aid Societies of Ontario. Harper and Baird live in the Nation's Capital of Domestic Terrorism and organized crime where Evidence Fabricating Child Abusing Cops like Det. Peter Van Der Zander and CAS Lawyer Marguerite Lewis fabricate evidence to terrorize society and abuse children. Its that lack of respect for the fundamental principles of Justice, its the systematic corr.uption of our Ontario Superior Court Judiciary that make Canada one of the Most Cor.rupt Lawless places on the planet. Don't expect anything different from John Baird when he returns to lay down his cards to be made the Captain of the ship Canada.